With the progressive increase in the amount of digital photographs, it isn't at all strange that many users want to show the world their photographs, but this can be a complicated task if you don't know any computing. 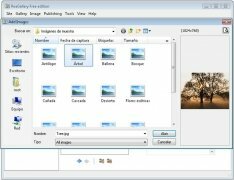 To be able to avoid this you can use ReaGallery. 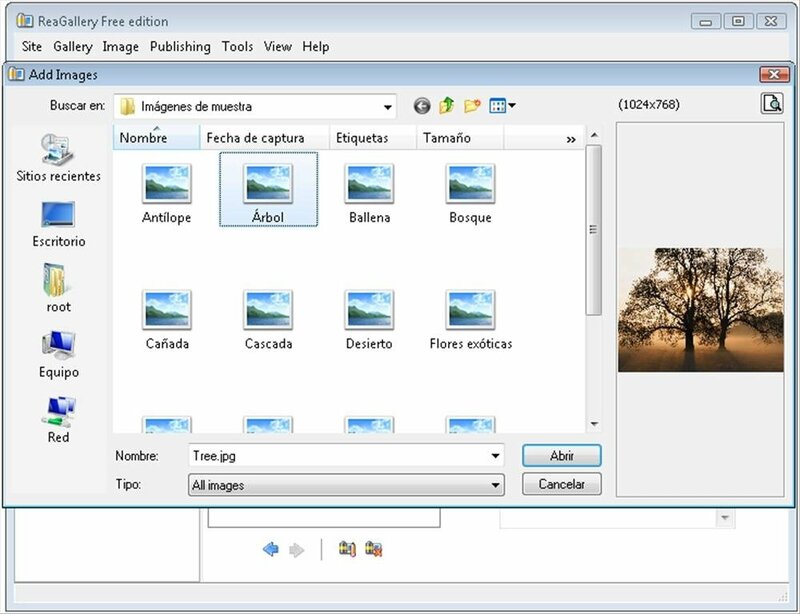 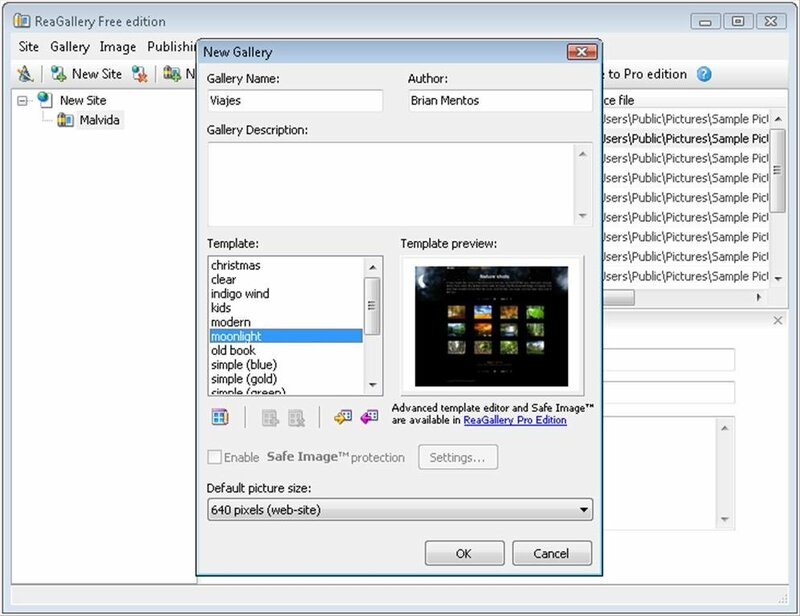 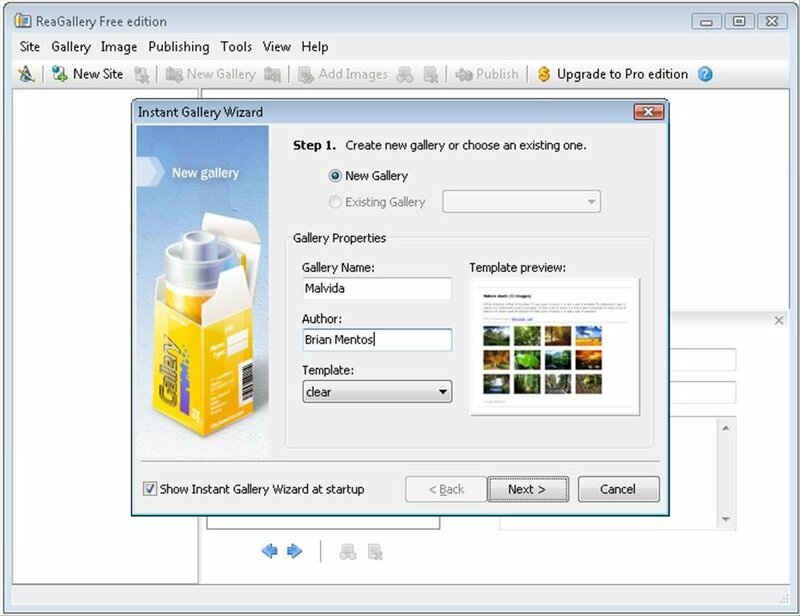 By means of an agile guided assistant (wizard), ReaGallery offers the users the opportunity to be able to create spectacular galleries to upload them to Internet in a few minutes, because by simply following the steps that the program indicates everything will be ready. 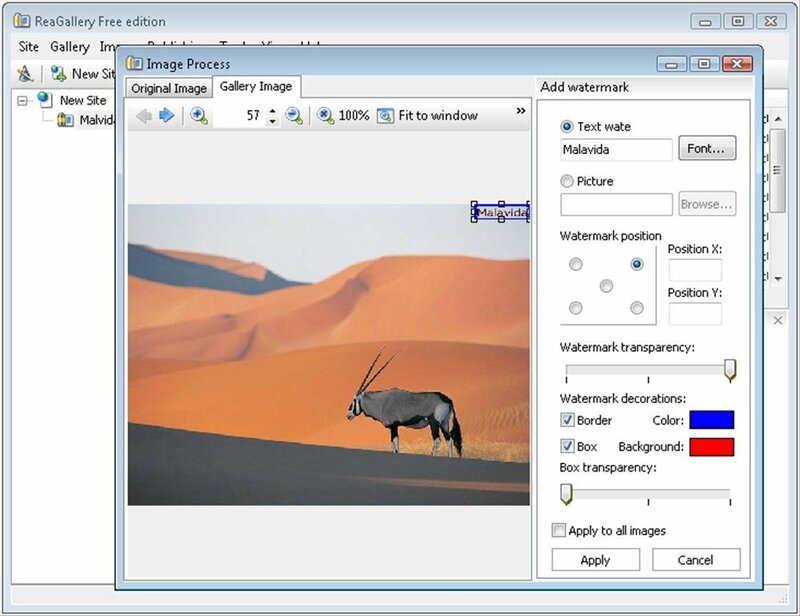 Another options offered by ReaGallery is to create a gallery on the computer without any need to upload them to the network, in such a fashion that the photograph galleries stored on the computer will be a lot more appealing to the people that see them. 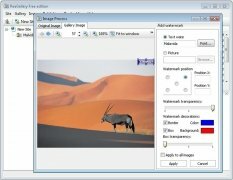 What's more, ReaGallery includes a small range of editing tools to be able to apply small modifications to the images, be it resizing them, showing only a specific part of an image, adding watermarks to mark them, etc. 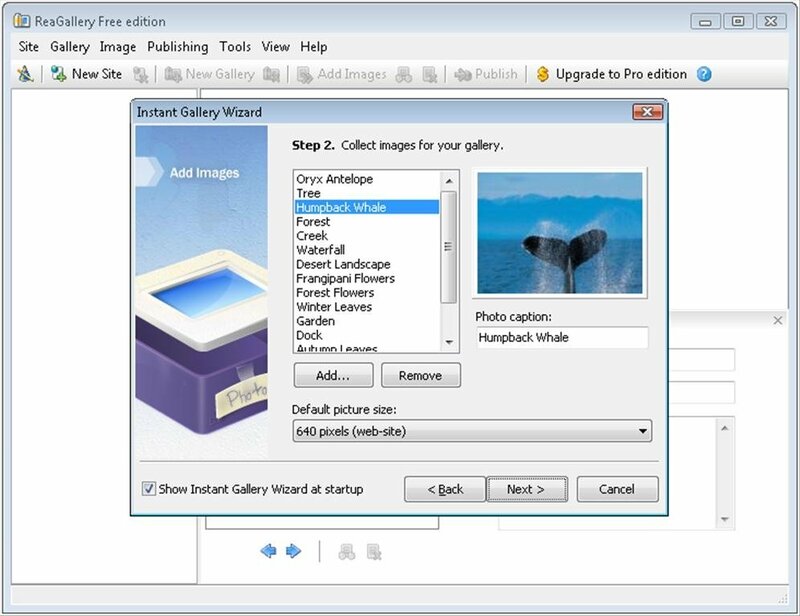 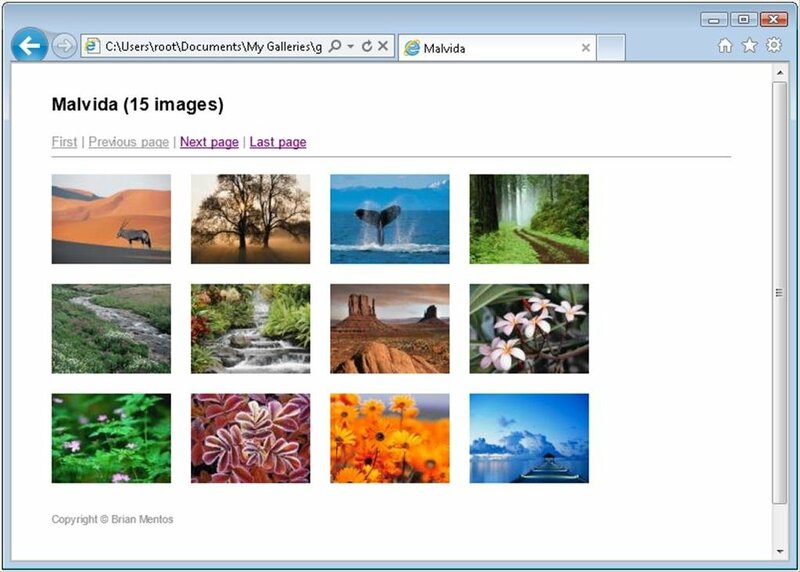 Download ReaGallery free, you will discover how easy it is to create a photograph gallery.